Street Fighter V: Arcade Edition players recently discovered a serious bug that makes one of the game’s most powerful characters almost unstoppable, which could have serious consequences with the inaugural Evo Japan on the horizon. The bug’s simplicity belies its severity. By combining his V-Skill armor, which gives him the ability to shrug off one hit, with the additional V-Trigger he received in Arcade Edition, Urien is capable of becoming invincible for a short period of time. His hurtboxes—the area of space an incoming attack needs to make contact with to land—completely disappear, making it impossible to hit Urien for roughly three seconds. In a genre often measured in frames, three seconds might as well be a lifetime. It’s enough time to avoid multiple attacks from Chun-Li, for instance, or negate Rashid’s cyclone, an important part of his rushdown gameplay. And as the video below shows, it’s also possible to counter supers using this technique. While players have since identified the technical reason this occurs and unofficially fixed it themselves, Evo Japan organizers and Capcom have been silent on it. Fighting games are fickle; it often takes multiple revisions and patches before their competitive value is fully sussed out. That’s why the fighting game community generally avoids using games and updates that have been released in close proximity to major tournaments. Doing so both keeps a level playing field and evades any game-breaking bugs. At their yearly North American event, Evo has a rule that no games, patches, or characters released within three weeks of the event’s start will be used. But this has not been enforced at Evo Japan, which will use Arcade Edition this weekend despite it launching only last week on January 16. While the update plays great and is a significant upgrade aesthetically from the original, playing a 10-day old update at a major international tournament is enormously risky. It’s easy to imagine this bug mattering at critical moments.The worst would obviously be during a tense championship match, where scrambles often result in clutch interactions between high-level opponents, but it could just as easily decide an early-bracket qualifying match. 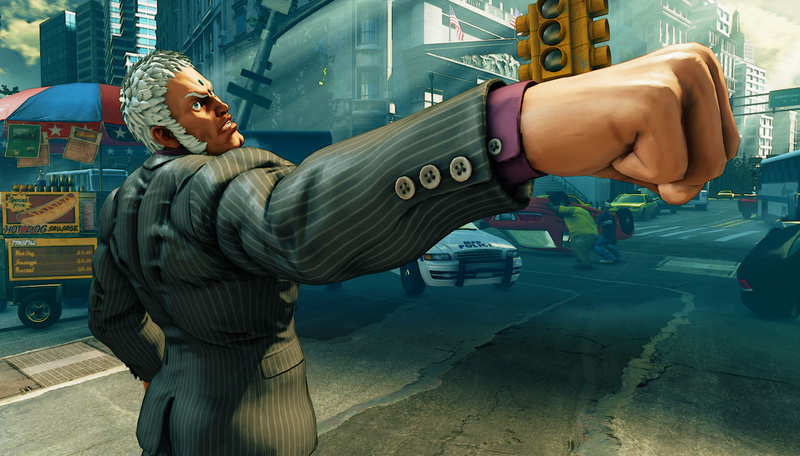 A competitor could activate the Urien bug and steal a win with the few seconds of invulnerability it grants. And since it’s easy to mistakenly do this during the normal course of a match, the organizers will be hard-pressed to ban the maneuver from competition altogether.